View the Seniors Morning Tea sessions here. Not a Cinebuzz Rewards member? Sign up today, it’s FREE! 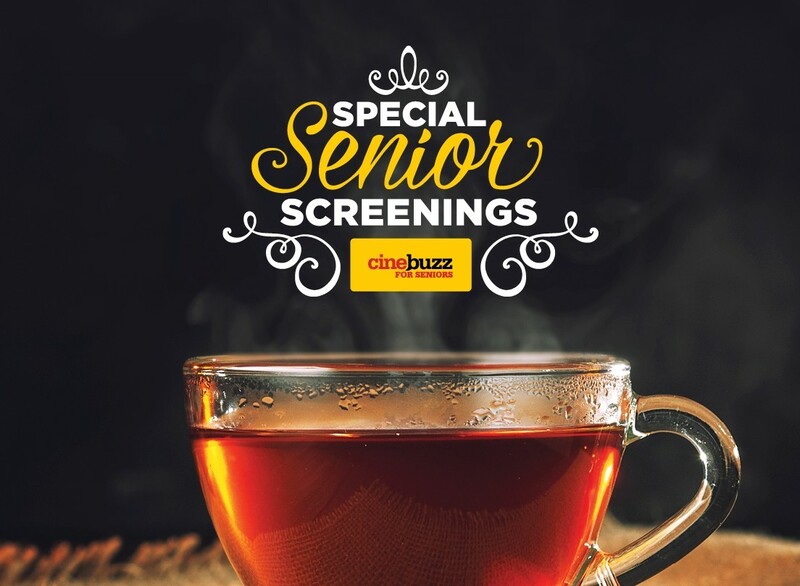 *Must be a current member of the Cinebuzz for Seniors Rewards Club and present card when picking up your tickets to receive the special ticket price. Cinebuzz for Seniors Rewards Club is valid for anyone over the age of 60yrs. & you may be asked for photo ID. Online booking fee applies.